Click the Archive button (Figure 1, C) for that case. Again using Cases as an example, click on the Cases buttons (Figure 2, B). Click the My Cases drop down menu and select to view the Archived cases (Figure 2, C). 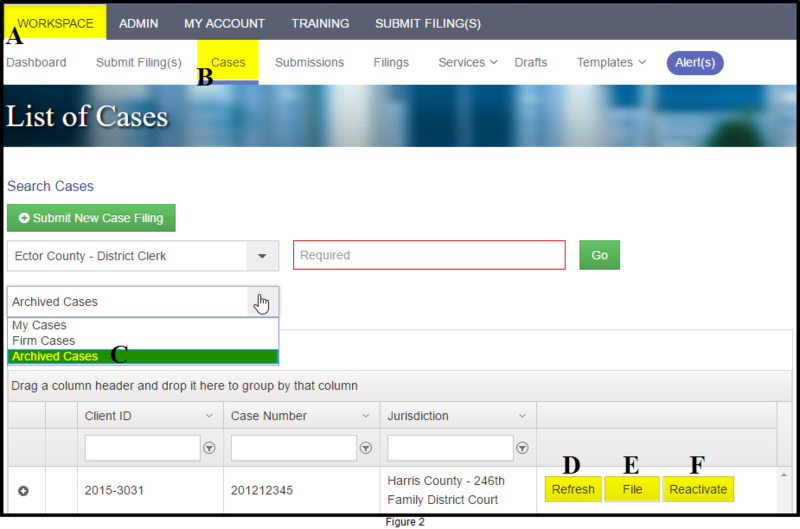 Click the File button (Figure 2, E) to submit a filing for the case. 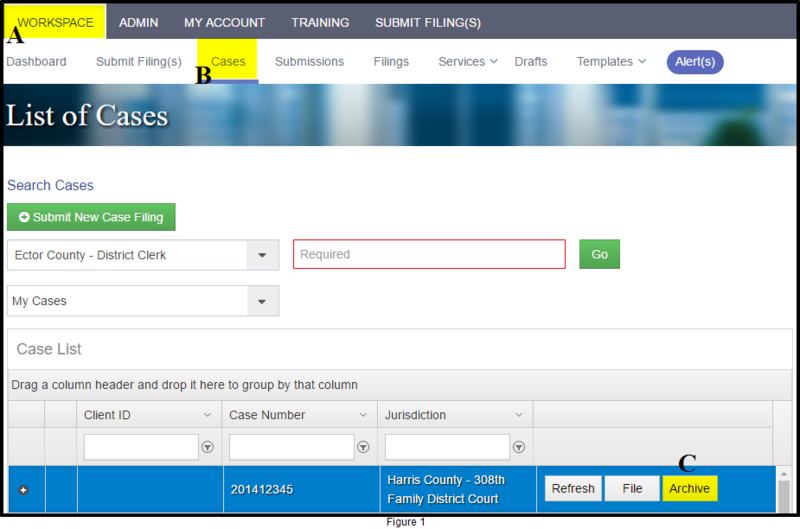 Click the Reactivate button (Figure 2, F) to move the case from your Archive to your list of active cases. Click the Refresh button (Figure 2, D) to download the most current information about the case from eFileTexas.